Are you wearing odd socks for World Down Syndrome Awareness Day? As well as letting us know about World Down Syndrome Awareness Day, this reader also shares details about a cake sale in aid of Rainbow Club, who support support children with additional needs and their families. OnTheWight reader, Rochelle Wilson, has been in touch to let us know that today is World Down Syndrome Awareness Day. “Today is World Down’s Syndrome Awareness Day. We wear odd socks to celebrate that everyone is different and also chromosomes look like socks! 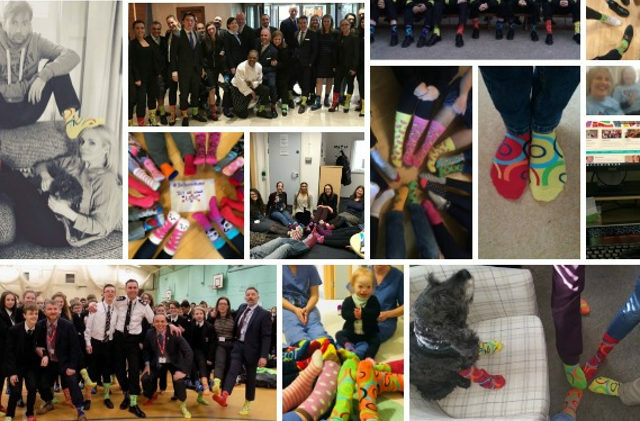 Make sure to take pictures and videos and post them on Facebook, Twitter and Instagram using the hashtags #LotsOfSocks, #WorldDownSyndromeDay and #WDSD19 … we love seeing and sharing everyone’s #LotsOfSocks pictures! The cake sale takes place Newport Football Club between noon and 2.30pm. Join others for tea, coffee, cake and a bric a brac sale.